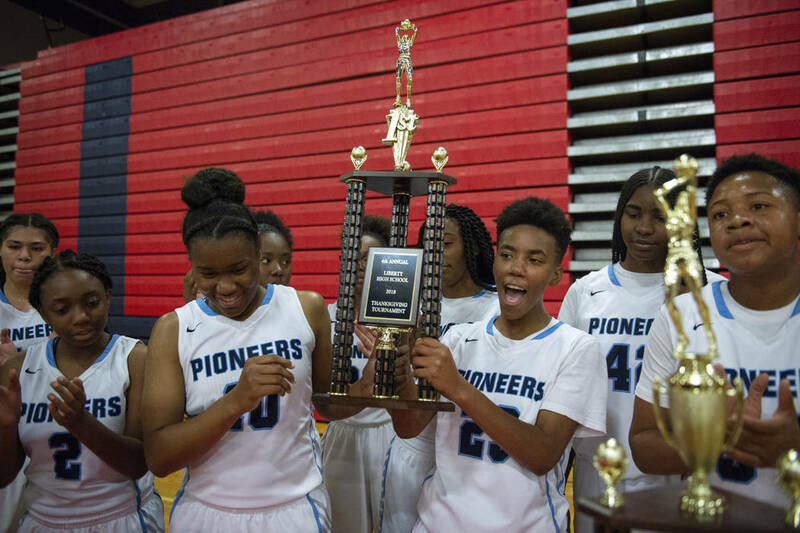 Though the Pioneers fell behind early again on Saturday, they pushed their way back in front late in the first quarter and never trailed again to beat the Patriots, 61-46, to win the tournament. 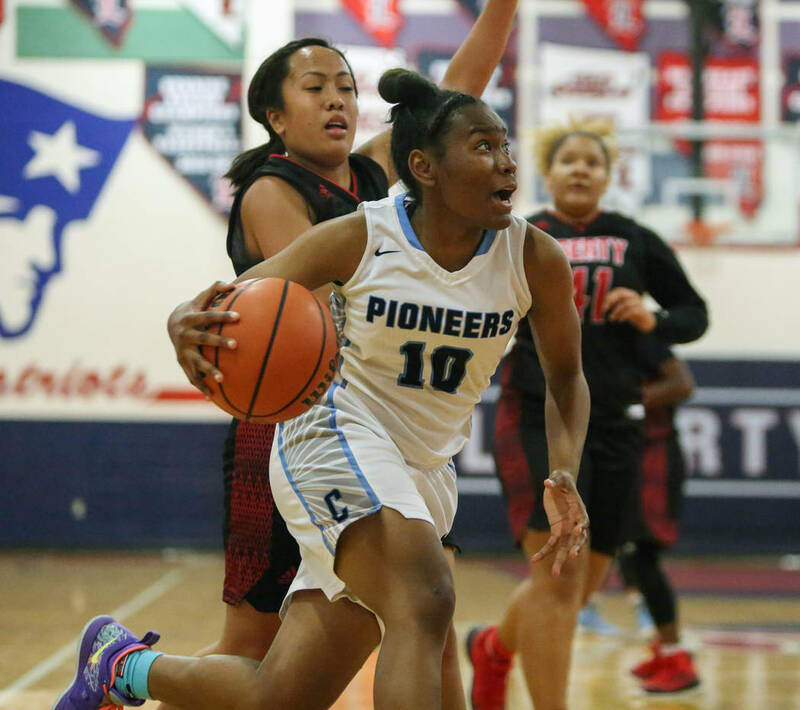 The Canyon Springs girls basketball team knew it could have this kind of performance. 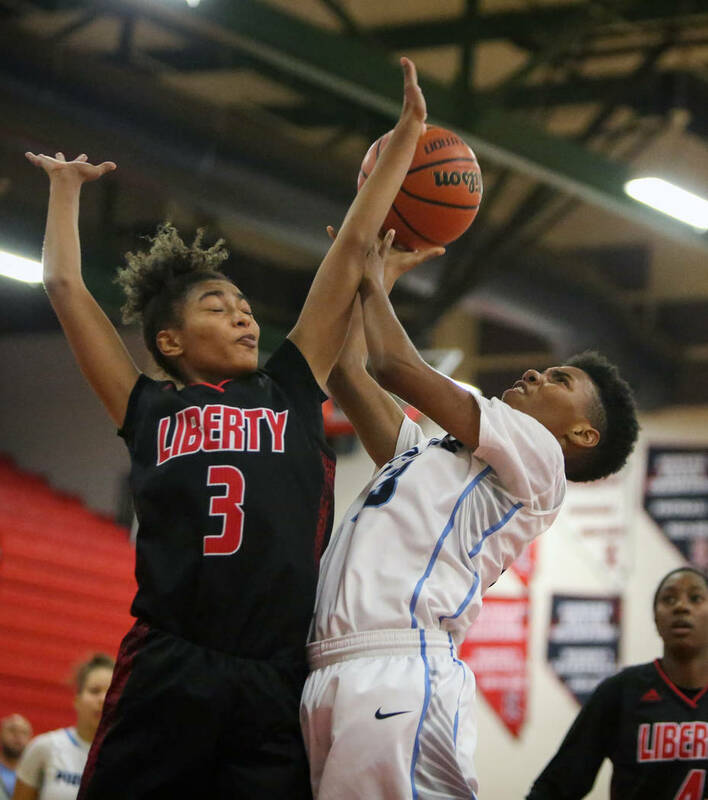 It wasn’t even the three relatively easy pool play victories at the Liberty Thanksgiving Invitational on Friday and early Saturday that gave the team such assurance. 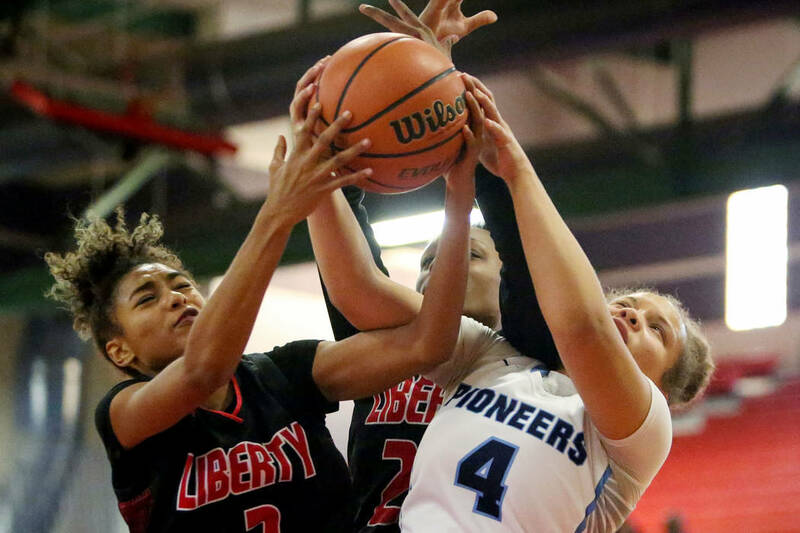 Even in this almost-new season, the Pioneers already had enough experience to believe they could stick with host Liberty when the two unbeaten pool winners came met for the tournament title on late Saturday afternoon. 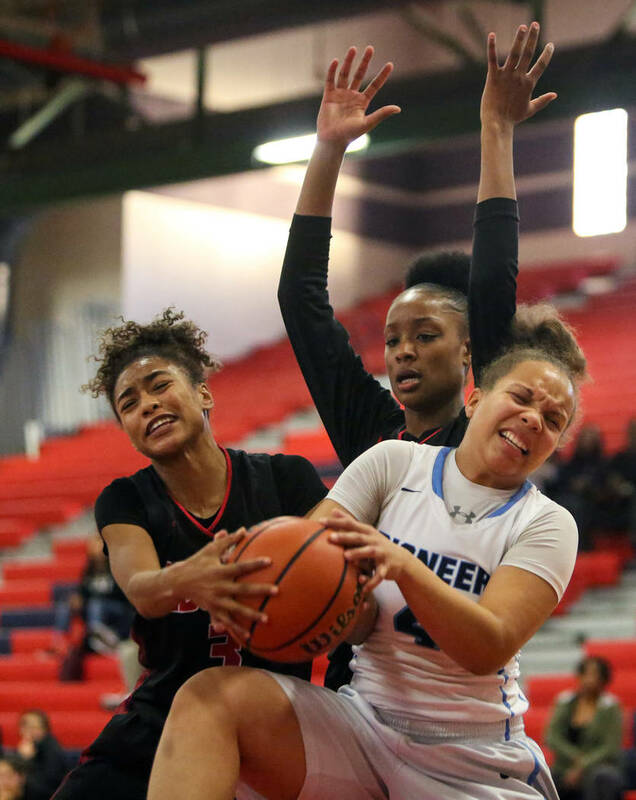 Though the Pioneers fell behind early again Saturday, they pushed their way back in front late in the first quarter and never trailed again, beating the Patriots, 61-46, to win the tournament. 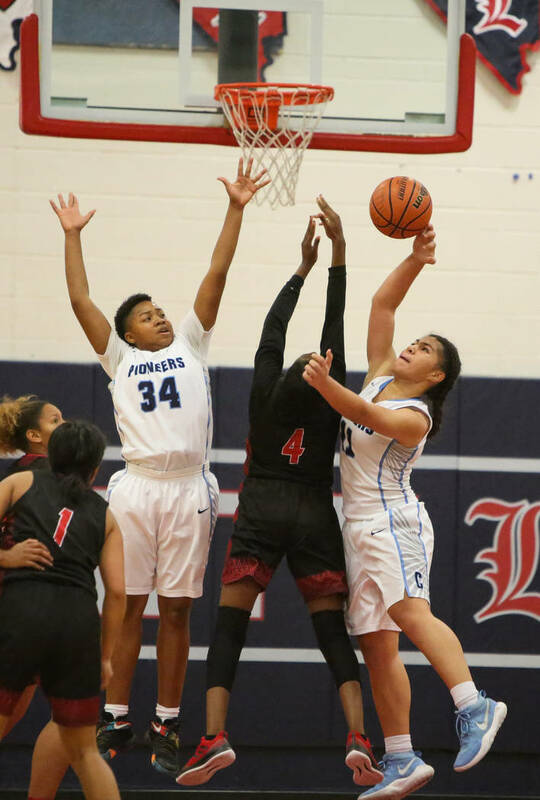 It was evident from the start that sharing the basketball was the focus against Liberty, a Class 4A state finalist last year. 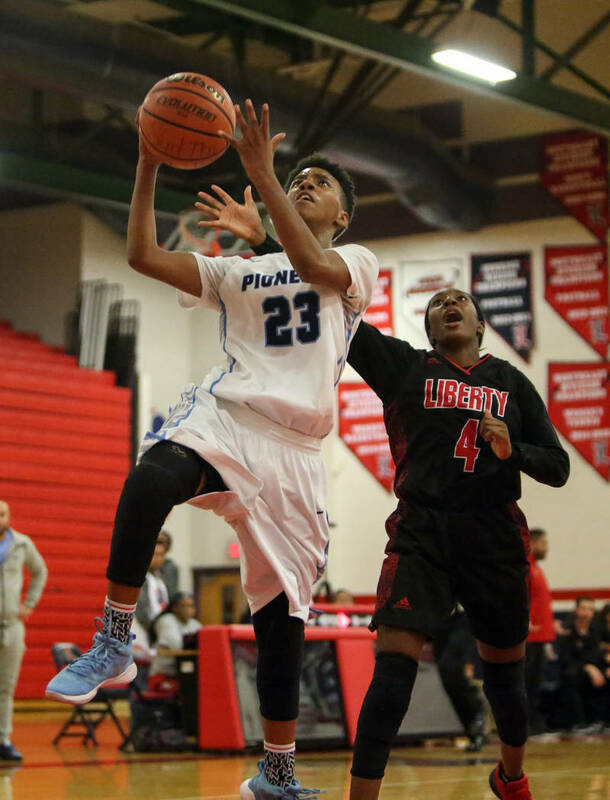 Canyon Springs recorded assists on four of its first eight field goals in the game. The Pioneers also had several good passes that put scorers in position to make an individual move and extend the lead. 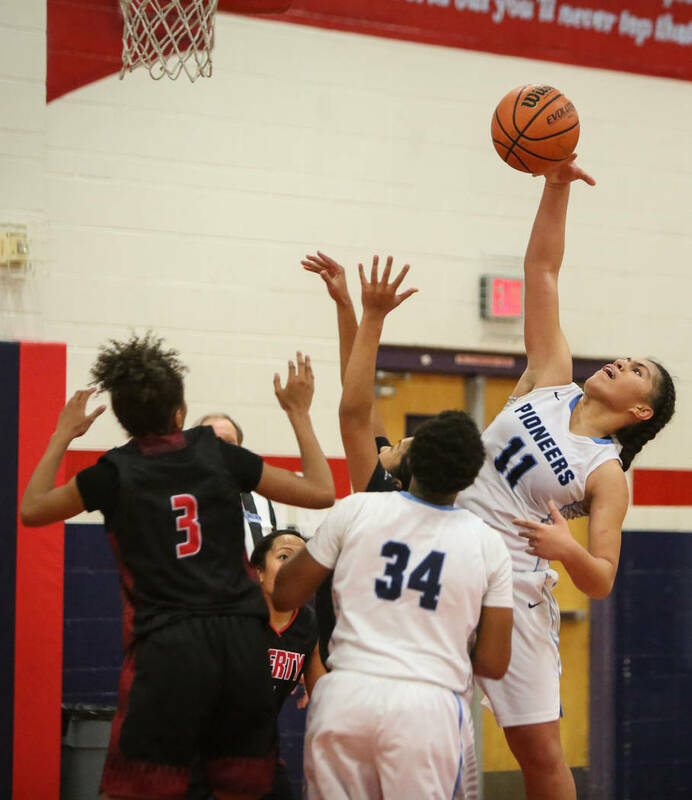 Canyon Springs scored the game’s first five points before a 12-0 run from Liberty staked the Patriots to a 12-5 lead with 4 minutes, 33 seconds to go in the first quarter. Joy Watkins’ basket to culminate that spurt was the last the Patriots scored for more than two-and-a-half minutes. Meanwhile, Canyon Springs forged back in front, 13-12, with 2:09 left in the quarter when Sydnei Collier made 1 of 3 free throws. Jeanette Fine’s 3-pointer at the first quarter buzzer gave the Pioneers a 22-17 lead that Liberty would threaten only once again. Faith Lutheran’s Taylor Etopio had 14 points in a 61-27 victory over Bonanza in the third-place game at the Liberty Thanksgiving Invitational. Cimarron-Memorial’s Elise Young scored 17 points in a 59-49 win over Desert Pines.